Select a Page from the Gray Bar below to view additional pages! 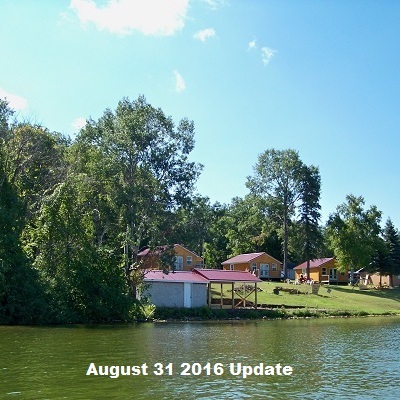 Cabin renovations will be starting in early spring 2016, and "hopefully" we will have some rentals available in early summer 2017. That is if all goes well, and we are not in for any big surprises once we start the renovation process! We have our fingers crossed! Are you looking for a Beautiful, Fun, Relaxing place to have a family reunion? 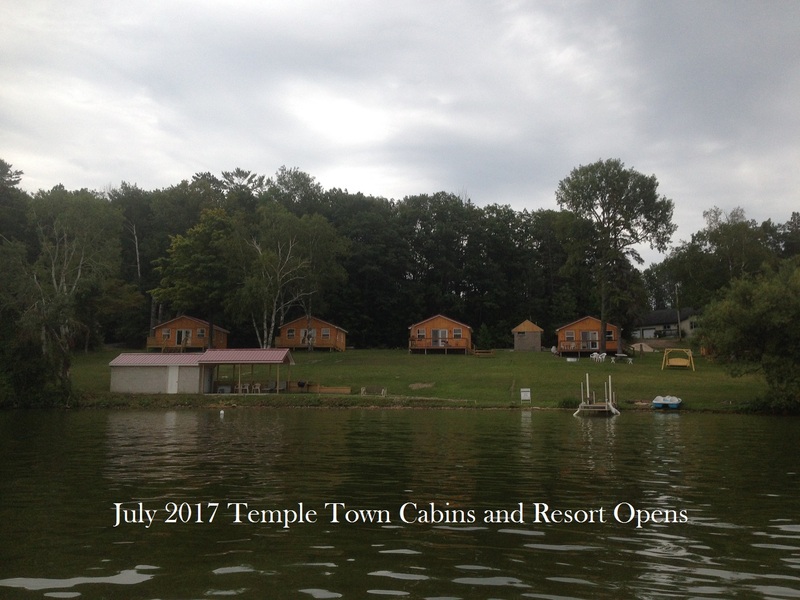 Keep us in mind as Temple Town will have FIVE two bedroom cabins available for rent in 2017! Book a week for 3 or more cabins and you will get a 5 to 10% discount on the rentals! It does not get much nicer than this folks! Come and check us out, and I am sure you will agree!! Located just about 30 miles South of the Macinac bridge, Mullett Lake is one of Michigans most beautiful Inland lakes. With over 45 miles of channels and lakes connected together, boating is a popular recreation on this lake. From Temple Town cabins you can do a boat trip to Cheboyan and go through the locks. From there you can venture out to Macinac island, if you have a big enough boat. Or you can stay along the lakes shoreline, and head to Macinac City. 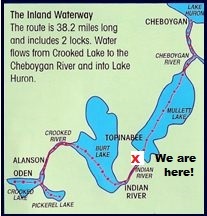 If you choose to head out through the Indian River channel, you can head out to Burt Lake, or if really adventurous you can go through Burt Lake and head out to Crooked Lake. The boating possibilities are endless on this chain of lakes! If you are not a boater, the fishing in Mullet Lake is FABULOUS with some very famous fish stories! One of my favorites is about the guy that pulled a 7 foot 200 plus pound Sturgeon fish through an ice hole while ice fishing back in the 70's. Pictures can be seen at Breakers Bar which is a 10 minute boat ride across Mullet Lake over to Topinabee. The outdoor recreation is endless in this part of Michigan. From water skiing, water boarding, jet skiing to just lounging on the beach, Indian River offers one of the top vacation spots in Michigan. It is centrally located with Mackinaw City less than 30 minutes away, Cheboygan less than 30 minutes away, and beautiful Petosky less than 40 minutes away. And while visiting Indian River, be sure to visit the beautiful Cross In The Woods. Take in a Sunday mass while here, or just take a walk through the grounds and view the Gigantic Shrine! Click on this link to view the Cross in the Woods, BUT DON'T FORGET TO COME BACK TO THIS PAGE! Enjoy Precious time with your loved ones at the lake! Cabins will be available to rent starting May of 2017. Rates will be based on occupancy of 2 - 4 people. Average weekly rate will be $785 to $855 per week. Weekend rentals will be based upon availability, and will be $140 to $155 per night based on prime season, off season or holidays! Save up to 20% on off season rates! Click the link above for Nightly Pricing! Are you looking for a place to call your own for the Summer? We are offering monthly or seasonal rates on select cabins on both Pigeon Bay Cabins and Temple Town Cabins. Contact us for more information! We offer Military, Senior (55 and over) and Friends and Family Discounts of 5% off per night rate. Please submit the form above for more information and availability!